Shop bought energy bars are often full of refined sugars and nasty additives. Here is a delicious recipe from our friend Natasha so that you can make your own wholesome version. 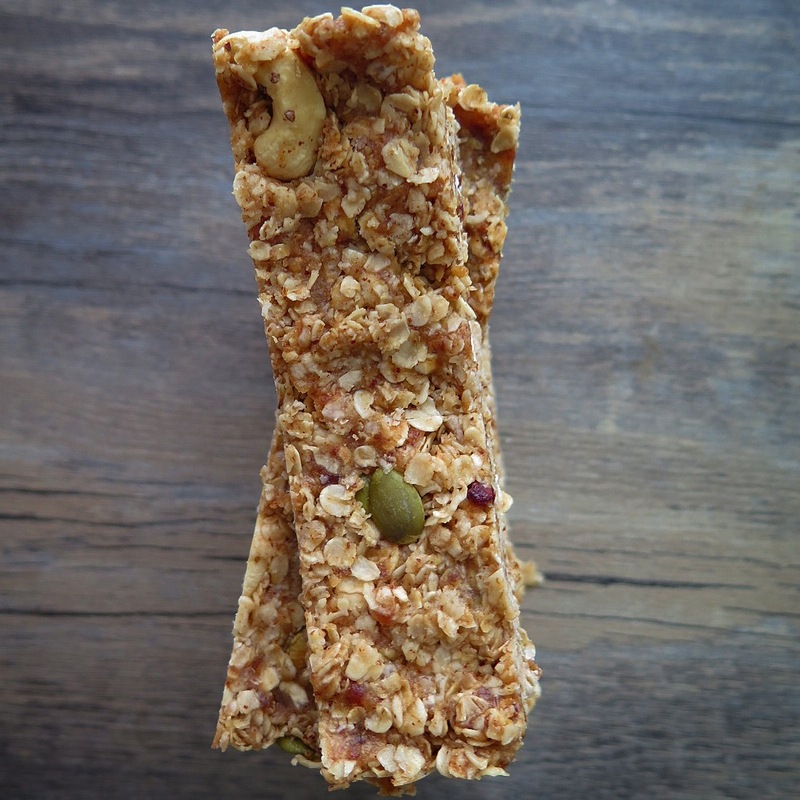 Prepare them in advance and keep in the fridge for when hunger strikes post-run! Put the coconut oil, honey and almond butter In a small pan and lightly melt, stirring frequently. Place your dates in a food processor and buzz until broken down. Put your oats, Sahara mix and salt in a large bowl and mix. Break up the date mix and stir through. Pour over the coconut/honey/almond liquid and stir until the whole mixture is covered. Line a large cake tin with clingfilm, pour in the mixture and press down, making sure there are no cracks. Place in the freezer for about 15-20 minutes to harden. Then remove, and cut into slices or squares and enjoy!